Baby wipes may contribute to the development of food allergies in children new research out of the US has discovered. According to a study published in the Journal of Allergy and Clinical Immunology on 6 April 2018, researchers found a “recipe” for developing food allergies that includes the mix of genetics, environment, exposure to allergy foods on the skin and the use of baby wipes to create a food allergy. Baby wipes were identified as problematic as they leave soap on the skin, disrupting the first layer of skin made of lipids (fats) that acts as a barrier. To help discover what combination leads to a food allergy, Professor Cook-Mils and her research team exposed mice to peanuts, eggs, dust and baby wipes. 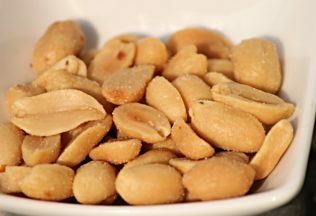 Lead researcher, Professor Joan Cook-Mils, said the discovery of what mix may lead to a food allergy is a “major advance”. An estimated 4-6 per cent of US children currently have a food allergy. In 2017, an allergy researcher called Australia the “food allergy capital of the world” after a study found 10 per cent of children in a study had a food allergy. Professor Cook-Mils said parents should wipe off any soap applied to infants after it is applied, including any soap left by baby wipes. “Limit use of infant wipes that leave soap on the skin,” Professor Cook-Mils said. Professor Cook Mils also suggests parents reduce a baby’s skin exposure to food allergens by washing hands before handling their baby. Brumby’s Bakery has launched a new winter sourdough bread range.